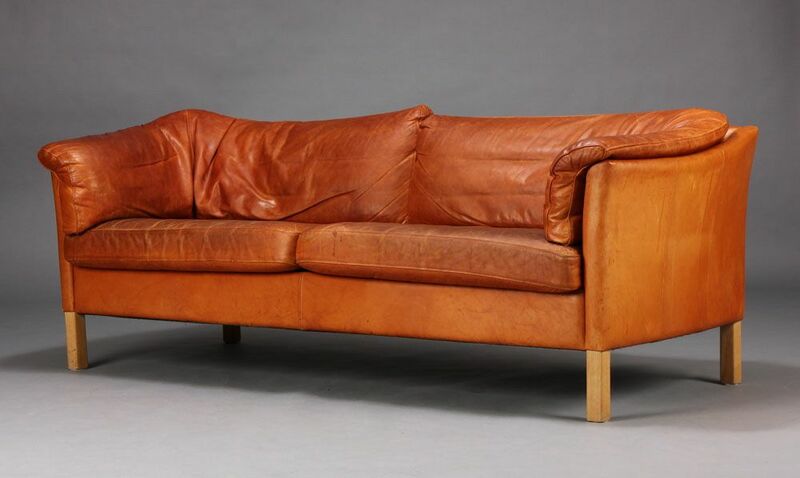 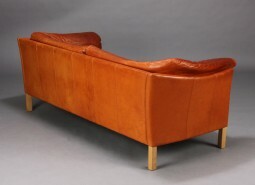 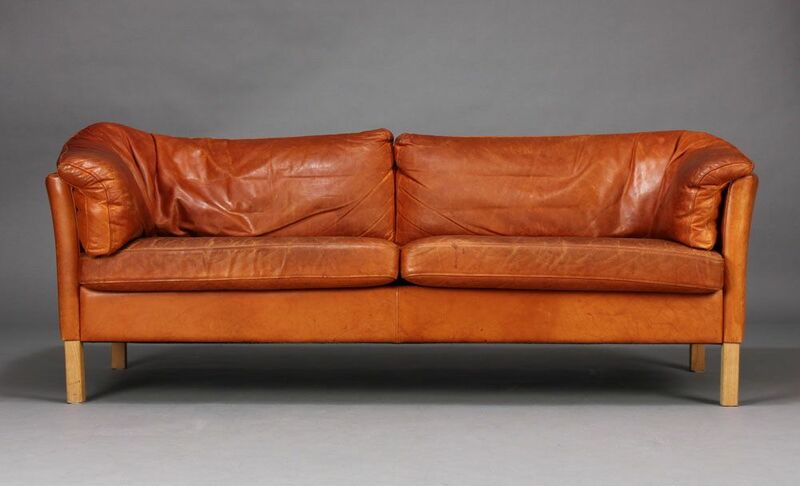 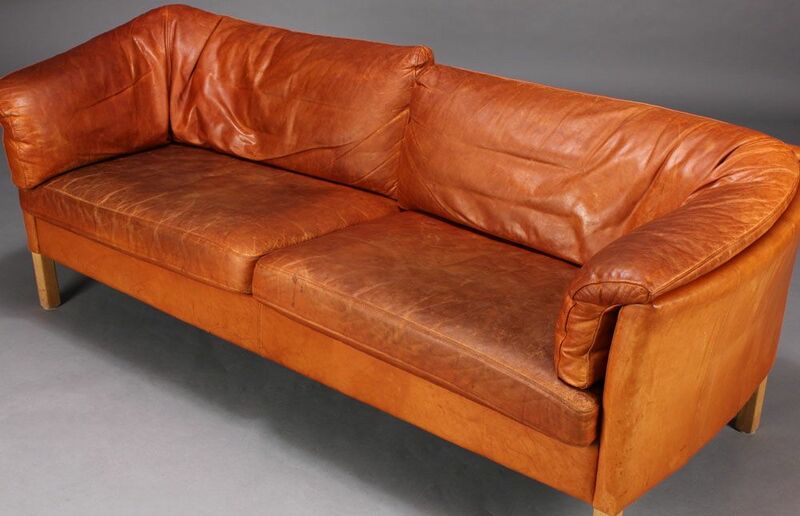 Well used and patinated leather sofa from Denmark, full of character. The leather is a cognac colour. 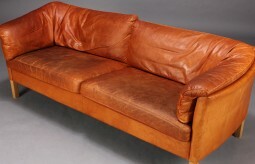 72 inches wide, 34 inches deep, 26 inches high and 18 inches to the seat. 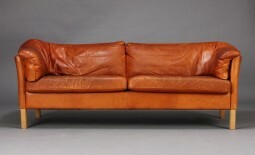 183 cm wide, 86 cm deep, 66 cm high and 46 cm to the seat.